What Does It Mean to Like People? The important thing about liking people…is that through people we can like reality. Through liking reality we can like people; which simply means that we accept the idea that knowing what people feel, what makes them feel as they do, what goes on within them, is good for us. This lecture is one of the most important—for every woman, every person. Growing up I didn’t think there was anything wrong with the notion that, while I wanted people to like me, I didn’t like most people. I had three best girl friends in high school, and a boy friend I went steady with—actually it was unsteady—and was busy and rarely alone. But I didn’t know why I was often so uncomfortable with people and unsure of myself and could suddenly feel so lonely. And why couldn’t I find anything to say to people at parties, in elevators, in stores? I came to have much greater ease as I learned in Aesthetic Realism consultations that I had a motive that I couldn’t like myself for—which was a desire to have contempt for people. Contempt, Aesthetic Realism explains, is “the false importance or glory from the lessening of things not oneself.” I came to see that knowing what goes in within people, granting them full reality, was how I could understand myself! She was a brilliant woman, of beauty and estate…a woman of the noblest make-up whose orbit was…too large to be tolerated for long…a most maligned, lied-about character, one of the best in history though also one of the least understood. 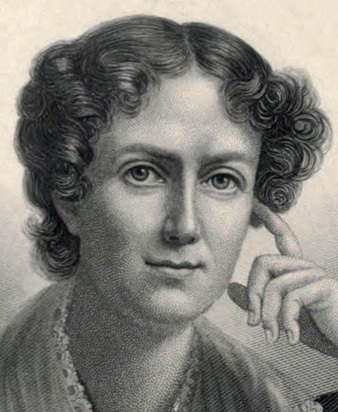 Though little known today, Frances Wright was among the earliest and most courageous persons in America against slavery and economic injustice. “Humankind,” she wrote, “its condition, its nature, its capabilities, and its destinies, have formed the study of my life.” Yet there was also that in her which was against liking people, and it caused pain in her life. 1. Are We More Like or Different from Other People? Previous What Can Art Teach Us about Love? Next Can a Woman Make Sense of the Way She’s For & Against a Man, the World, Herself?